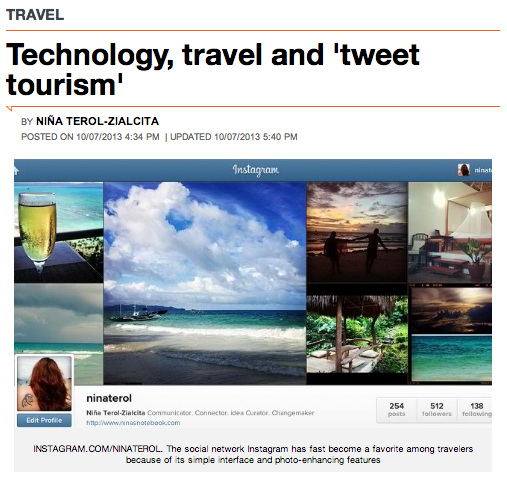 MANILA, Philippines – Technology has drastically changed the way people travel. The ubiquity of smartphones and 24/7 connectivity, for instance, has allowed frequent fliers to use websites and mobile apps to book flights and accommodations, keep track of mileage points and other perks, share recommendations and reviews, and post photos in real time. A new conference, the Asia Pacific Tourism, Hospitality and Technology [APTHAT] Conference, aims to shed light on the impact of technology on tourism and hospitality, the trends that are disrupting the industry and the issues that will define the way forward. The two-day meet is slated for November 21 to 22 at Kuching, Sarawak, Malaysia — itself is a tourism draw because of the dense Borneo jungle and its mix of indigenous and contemporary cultures. Conference sessions will include plenaries on travel and innovation, emerging trends in tourism development and marketing, “tweet tourism,” “Blue Ocean” strategies for tourism, as well as breakout sessions on eco-tourism and sustainable development, social media marketing and many others. This is an excerpt only. Read the full article in the Rappler website. For more information on the Asia Pacific Tourism, Hospitality, and Technology Conference, visit the APTHAT website.